Kostas Papanikolaou (2.03-SF/PF) will be finally signing his NBA contract this summer according to ESPN and Yahoo sources and their twitter feeds. Papanikolaou came close to signing with Houston a few weeks ago but the deal went sour as there wasn't enough money in it. According to the latest news Papanikolaou will be making a guaranteed 4.8 million dollars for the first season and the team has an option for the 2nd season. He'll also be paying Barcelona a hefty NBA-out clause to be released from his current contract. After taxes and the NBA-out clause of 1.1 million euros (minus $600,000 that the Rockets are paying) he'll still be making well over a million euros in compensation. 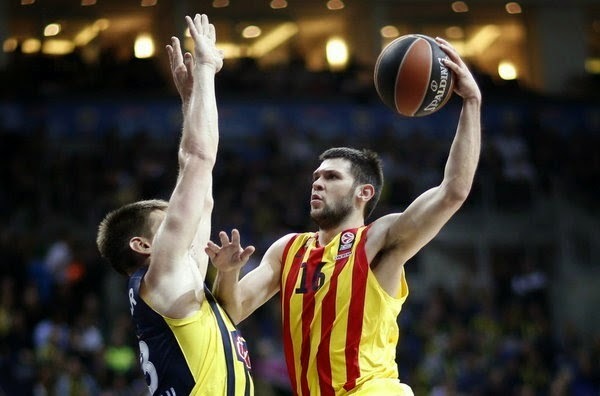 A good deal for Papanikolaou indeed.